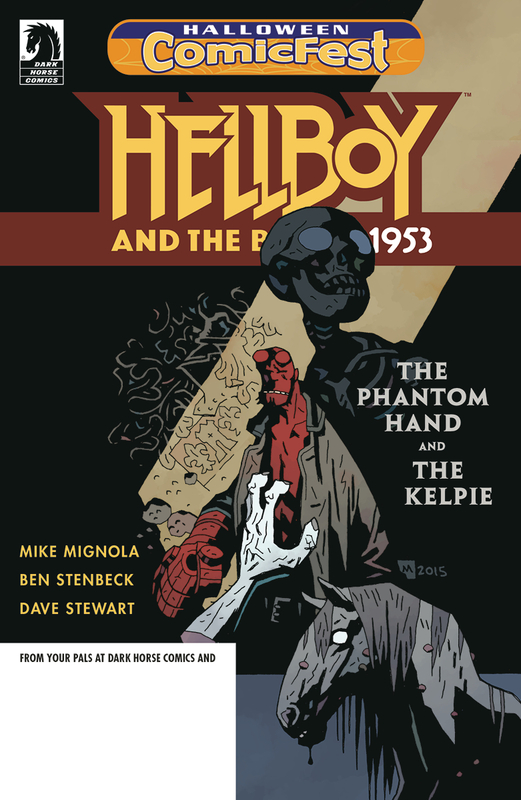 Thirty-four free comics, including 22 full-size and 12 mini-comics can be picked up. 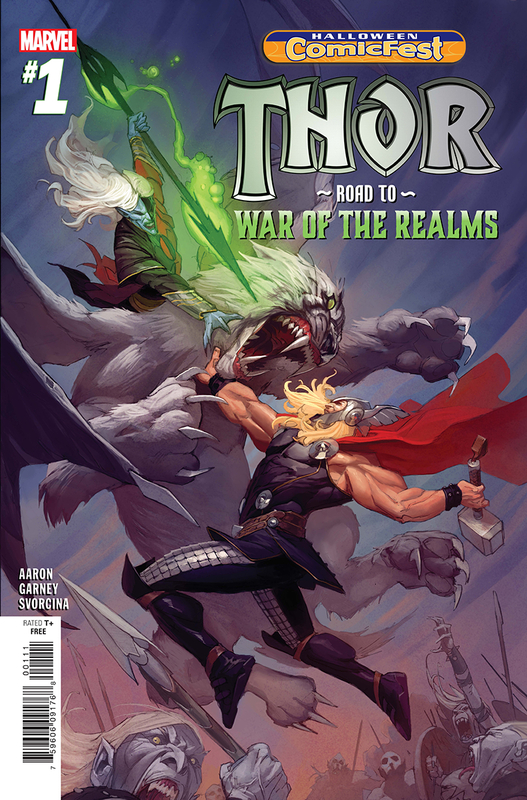 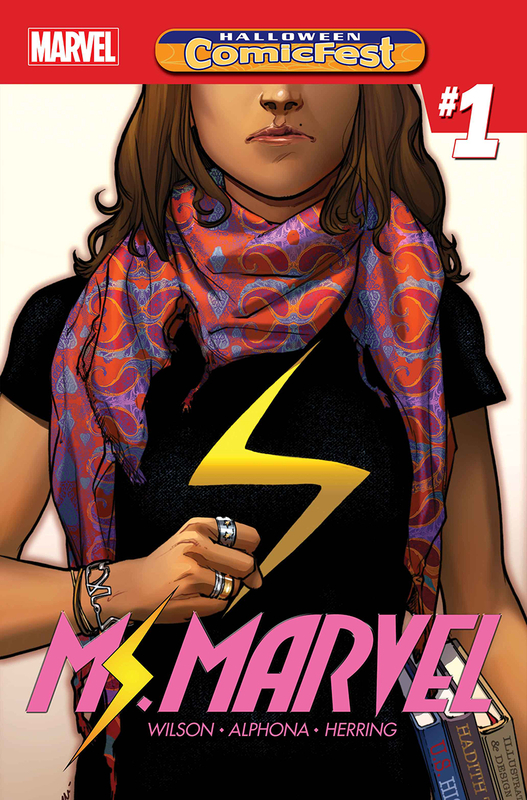 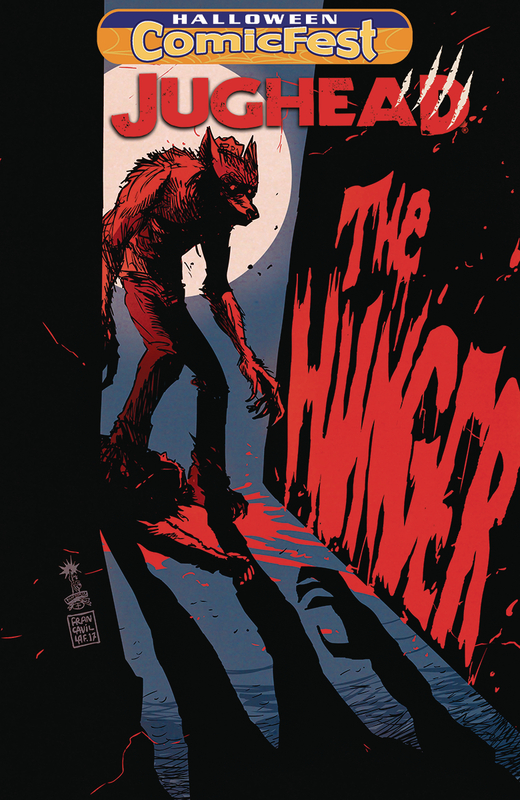 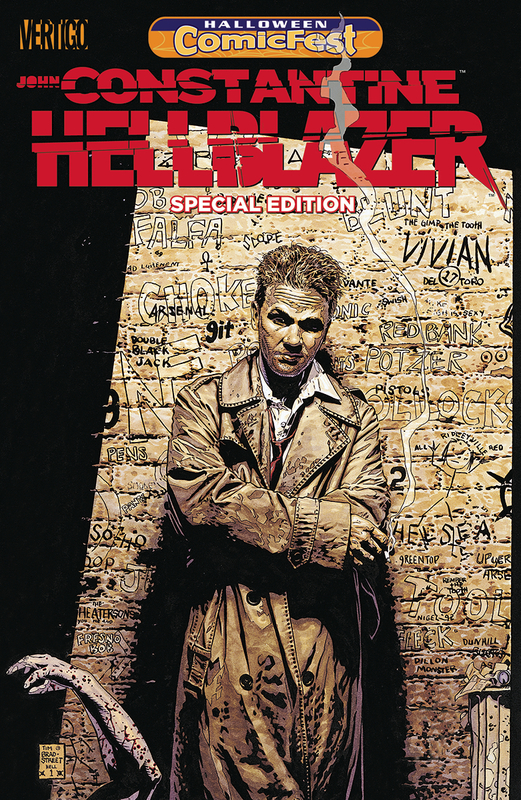 This year’s titles include Marvel Comics’ Ms. Marvel #1, Superior Spider-Man #1, and Thor: Road to War of the Realms #1; DC Comics’ John Constantine: The Hellblazer; and Hellboy, Jughead: The Hunger, and Rise of the TMNT, among other spooktacular titles for comic readers of all ages. 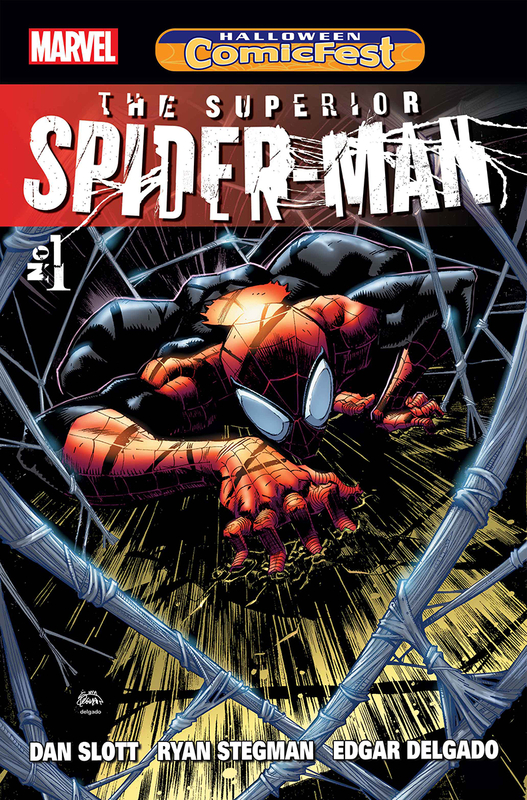 For more information about Halloween ComicFest, the free comics, costume contest, and to find a participating comic shop, go to www.halloweencomicfest.com. 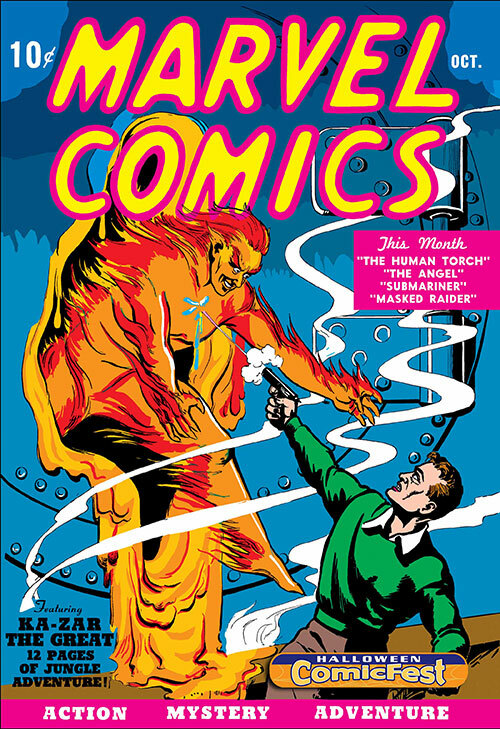 So, get in your Halloween costumes and take your family and friends to check out free comics and fun at your local comic shop! 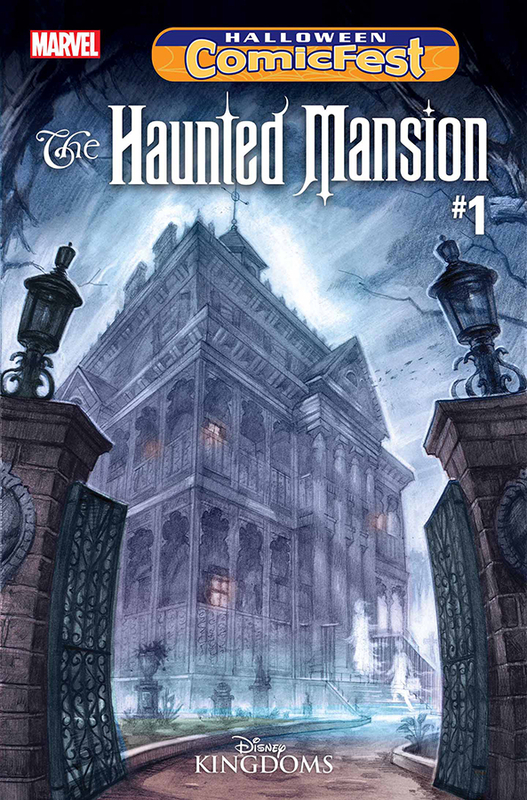 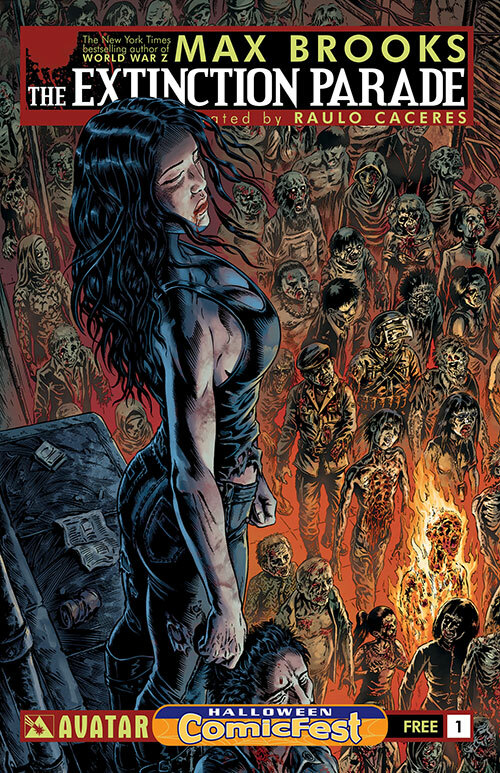 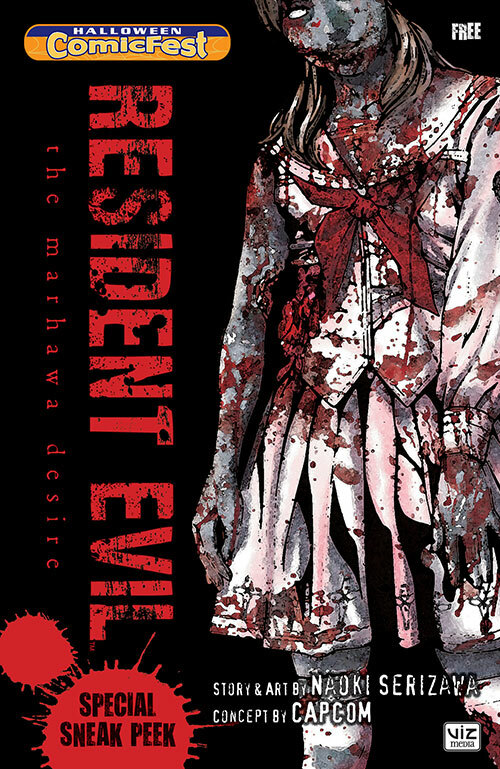 As Halloween ComicFest moves into its fifth year, Diamond Comics Distributors is reporting record numbers of participants, and is planning to hand out over 2 million Halloween-themed comic books this October 29. 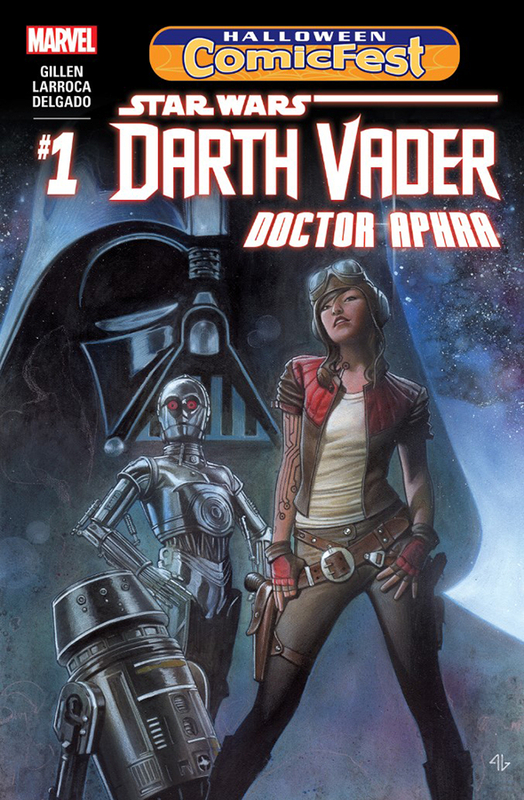 32 titles will be handed out including Marvel Comics’ Darth Vader: Doctor Aphra #1, and Spidey #1; DC Comics’ DC Super Hero Girls #1 and Scooby Apocalypse/Hanna-Barbera Sampler; Dark Horse Comics’ Harrow County #1; and IDW Publishing’s My Little Pony: The Haunted Dungeon as well as many more. 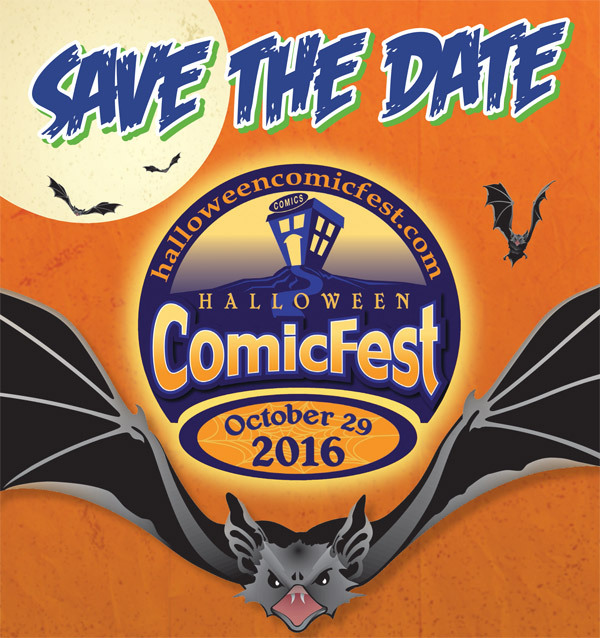 Halloween ComicFest takes place on October 29 at participating retailers. 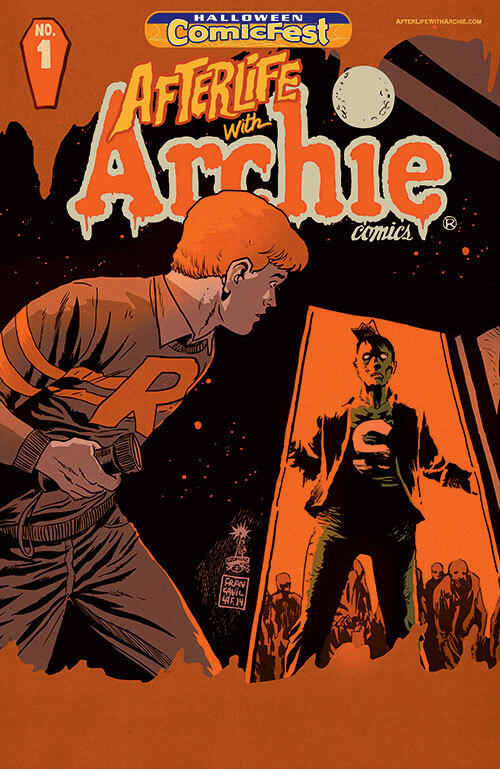 On Saturday, October 25, 2014 participating comic shops across the US, Canada and internationally will hand out free comics to anyone who comes into their shop to celebrate the second biggest free comic book event of the year- Halloween ComicFest! 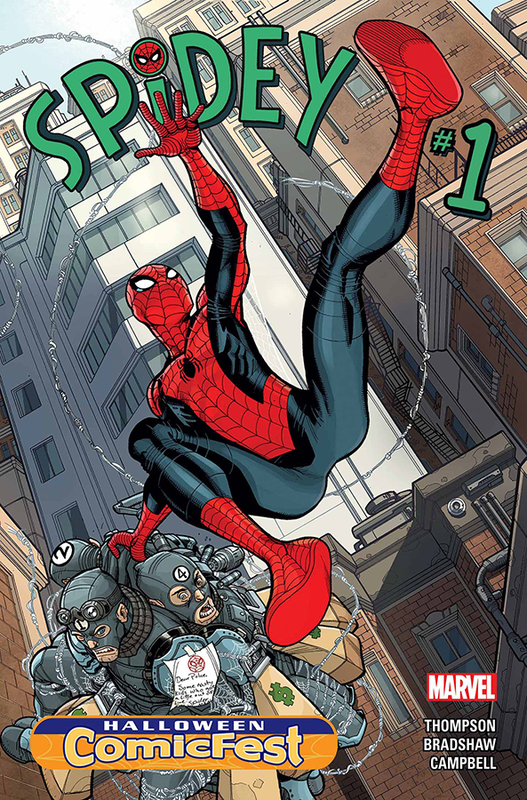 Anyone who goes into a participating comic shop can choose from 19 free comics and participate in fun activities comic shops host for their customers to enjoy while discovering new types of comics and the treasures found in store. 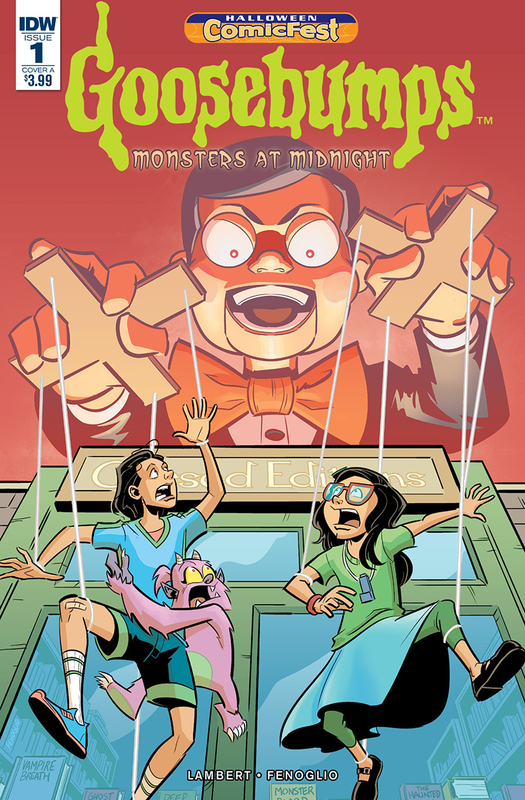 During Halloween ComicFest (HCF), adults and kids can get free Halloween and horror themed comics and mini-comics published specifically for the occasion. 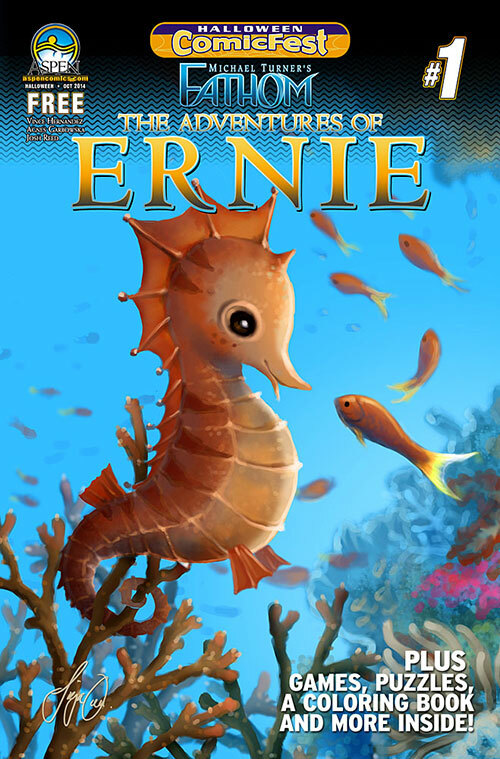 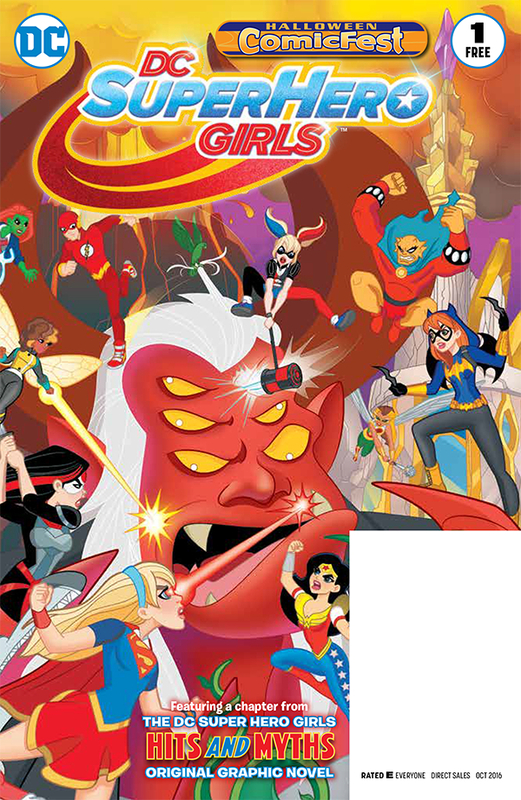 There are 19 titles available to choose from that are great for kids and adults, with twelve full-sized comics and seven mini-comics making it easy for everyone to find a story they will enjoy. 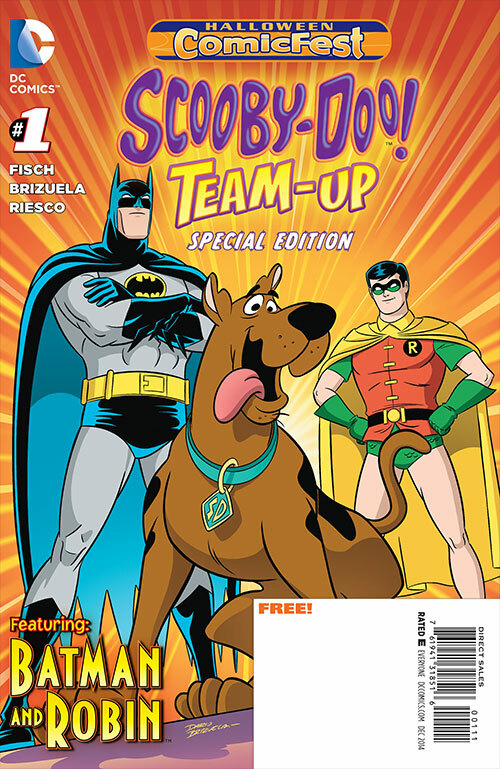 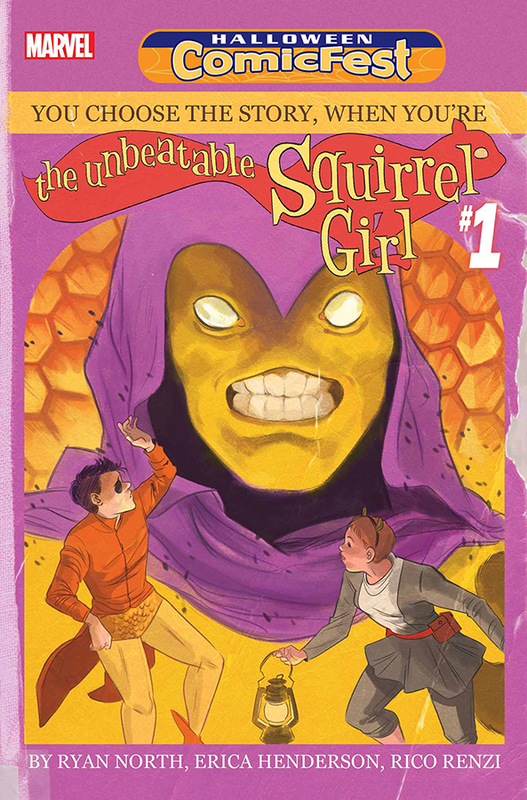 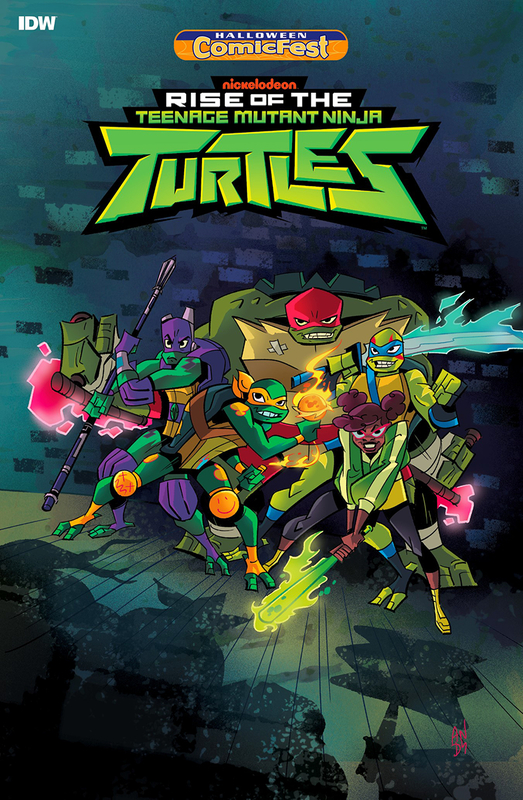 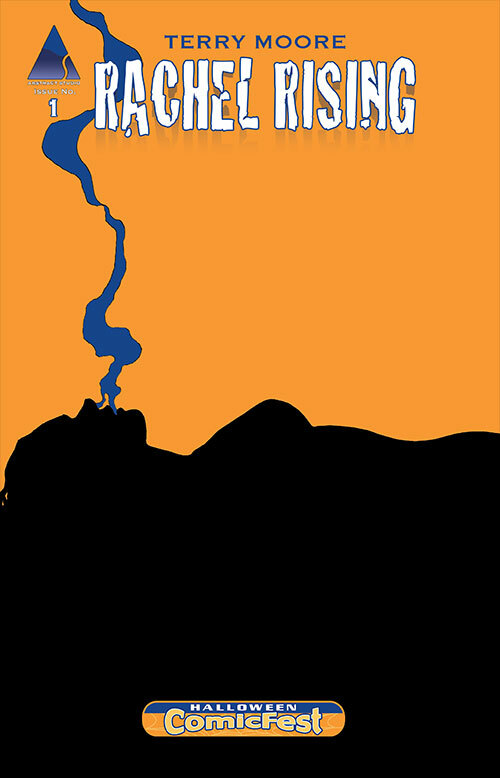 Titles for this year include: DC’s Scooby Doo Team-Up with Batman #1 , Marvel’s Secret Wars #1, Afterlife with Archie #1, My Little Pony, Plants vs. Zombies, Angry Birds, and other haunting and fun tales. 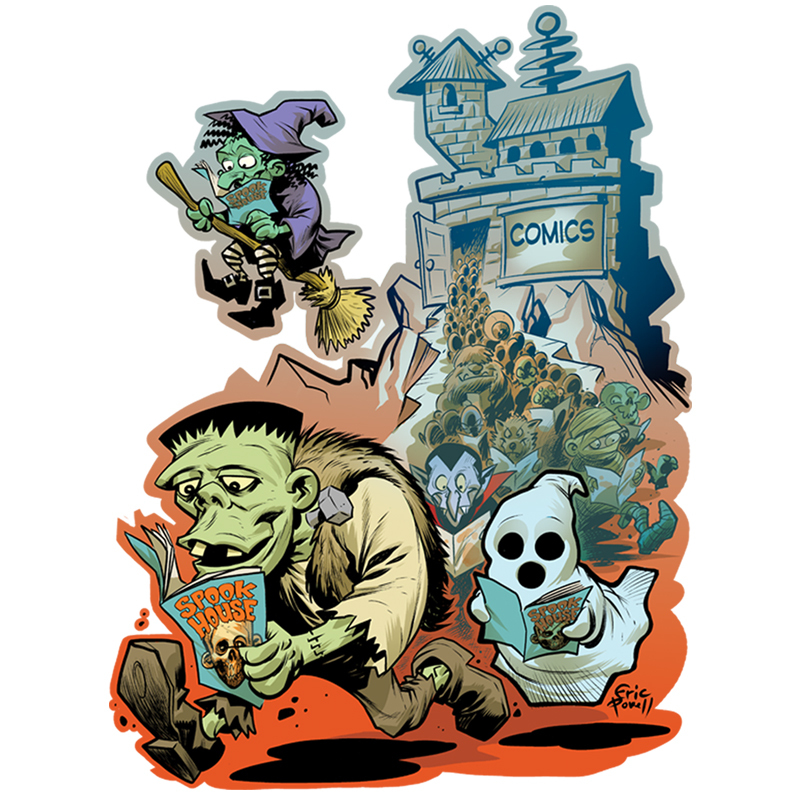 This year anyone can celebrate Halloween ComicFest in their homes with the HCF Mini-Comic packs, which are available to purchase solely from comic shops. 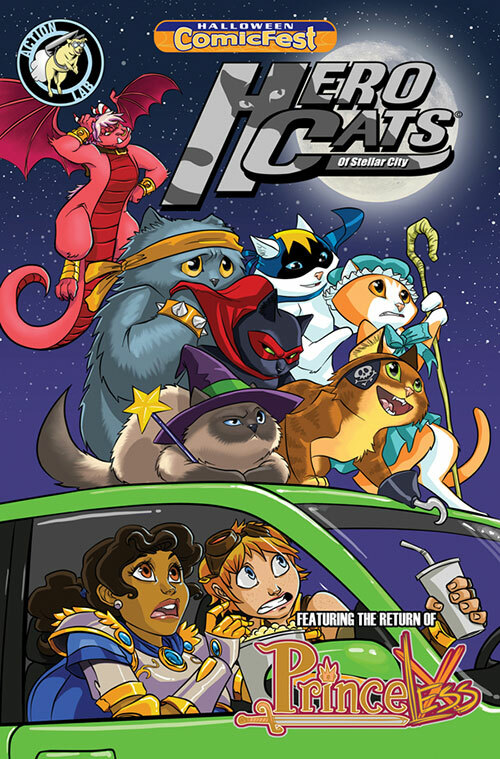 Each pack contains 20 HCF mini-comics that are great to pass out on Halloween to trick-or-treaters, providing a healthy alternative to candy and great stories that keep kids reading and visiting comic shops for more. 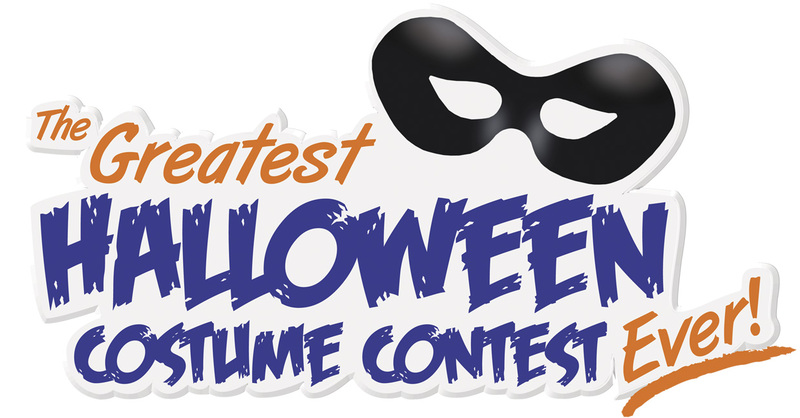 Currently taking place and running until November 9th is “The Greatest Halloween Costume Contest Ever” presented by Halloween ComicFest. 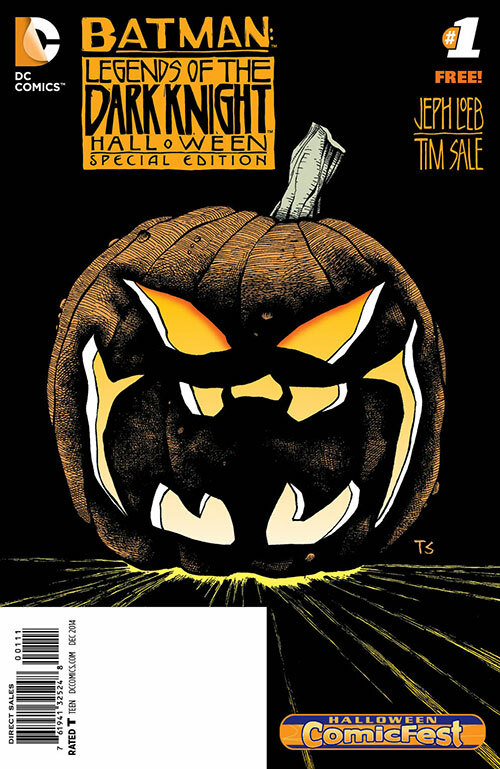 The contest takes place on the Halloween ComicFest website, where anyone can enter one of five categories just by uploading a picture of themselves in costume holding one of the free Halloween ComicFest 2014 comics and submitting it into the appropriate category. 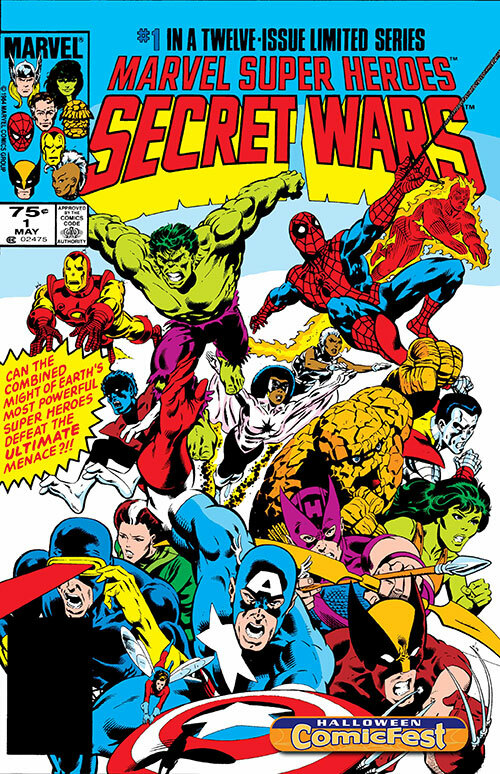 Prizes include $500 and $100 shopping sprees to the winner’s comic shop of choice in addition to category prizes for the participants who receive the most votes for their costume from website visitors. 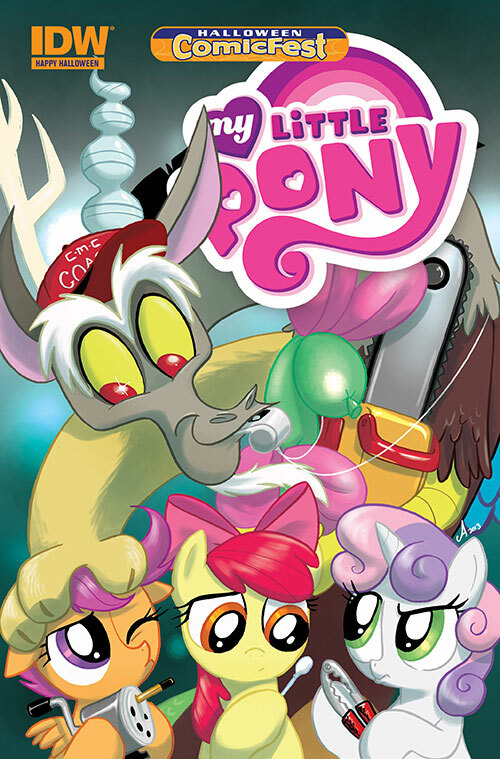 Voting will take place November 2-9 and it is crucial to remember that only photos with a Halloween ComicFest 2014 comic in the picture will be accepted. 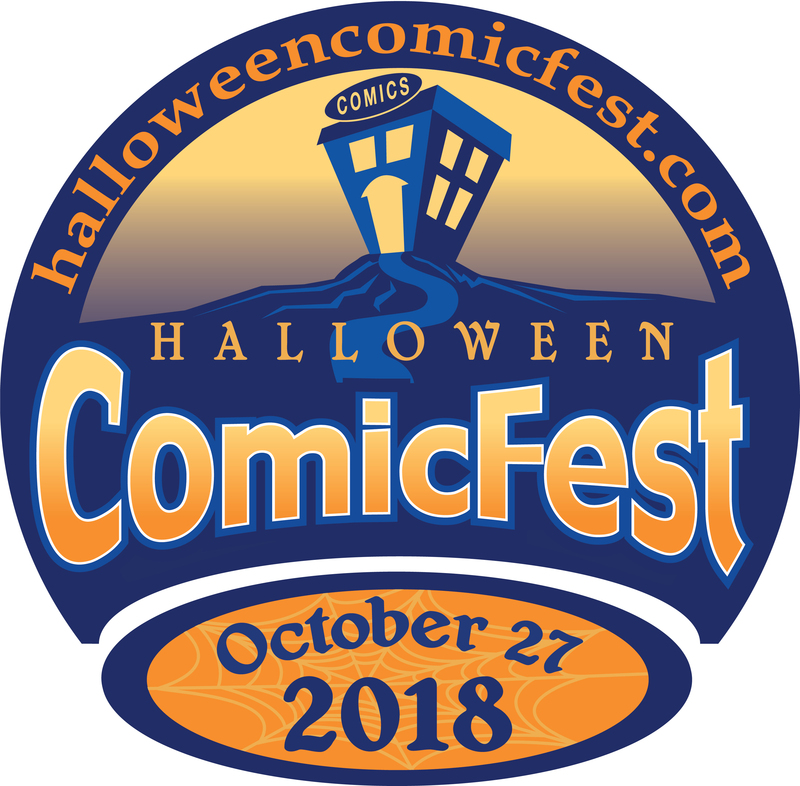 For more information about Halloween ComicFest, more details about the free comics, more information about the costume contest, and to find a participating comic shop, go to www.halloweencomicfest.com.